People across the country are looking left-and-right for the best price on the Apple Watch. Given the fact that the Apple Watch is a very personal device, a lot of users like to try on a watch (at the Apple Store) and then buy one, whereas users cannot do that online. The best way to keep up on these deals is to be checking websites like 9to5Toys and Best Buy daily to check on the latest deals for the Apple Watch. 9to5Toys could also be used for finding Apple product deals, as well. Another way is monitoring Twitter constantly and thoroughly because you never know when stores will be having online-only or social media deals. Two stores that I am listing do have some Apple Watch deals for the holidays. The first one is B&H, which is primarily online (and accepts Apple Pay!) sells many types of Apple products. If one were to look for the Apple Watch, one would find that there are more deals on the Apple Watch than stores like Best Buy and Target. The second store is Nebraska Furniture Mart (NFM), which is not as highly known as stores like B&H and Best Buy, and that there are not as many stores as a company like Best Buy has. 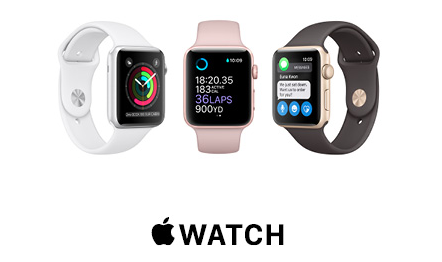 However, after doing some research, it turns out that NFM has the better buy for consumers looking to buy an Apple Watch in-store. A brand new (not refurbished or Geek Squad certified) Apple Watch from them is currently going for less than $220. It’s a deal that not even Best Buy, Target, or Walmart can compete with. Tim Cook already stated that the Apple Watch will be “one of the most popular holiday gifts this year,“ so with that said, be sure to look for Apple Watch via the websites and stores listed above if you’re looking for some of the best deals on the product this holiday season.